During the document generation, dynamic parts are inserted using a dedicated simple vocabulary. Parts of the generated document can be protected against, re-generation allowing manual modifications. Check and debug your dynamic queries to deploy reliable document generators. Code, user guide, development resources, everything related to M2Doc is available on this web-site and is open source. 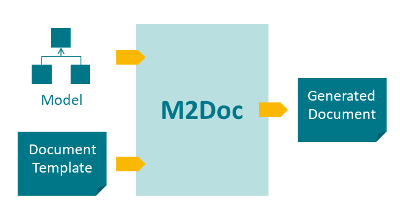 M2Doc is the result of an Open Innovation project. This Open Source solution has been made possible thanks to the following actors.